Pet-lovers with an allergy to their favorite dogs can still enjoy being a pet parent. The trick is to choose from the breeds of non-allergenic dogs that don’t shed as much hair and dander. Non-shedding dogs are commonly referred to as hypoallergenic dogs, and they are a great choice for people with allergies. In the US, there are more than 15 hairless and low-shedding, hypoallergenic dogs for people with allergies. If you love dogs but suffer from allergies, you should check out the small to medium sized dogs that are considered the best match for mild allergy sufferers. 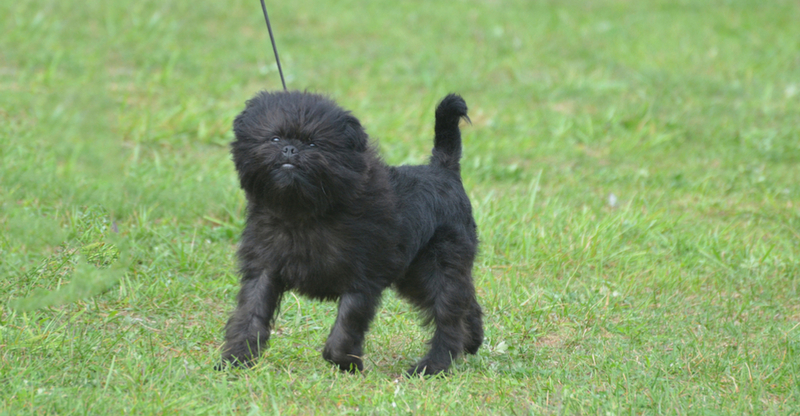 Pet parents with allergies can breathe a little easier with an Affenpinscher in the house. While Affens are not non-shedding dogs, as all pups shed some hair, they do feature a wiry coat which only needs occasional removal of old, dead hairs. 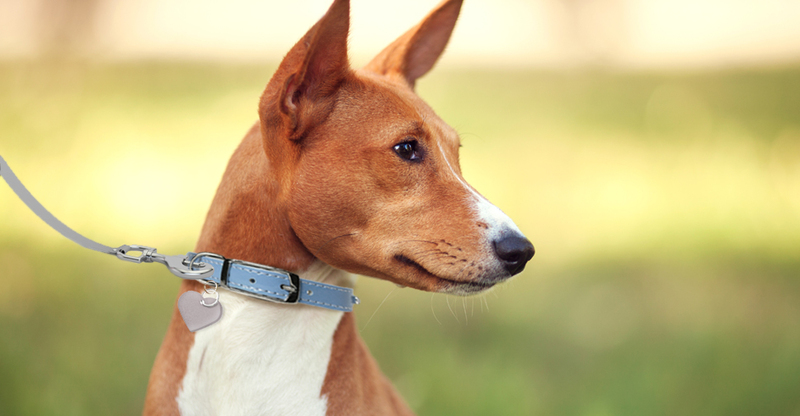 Practically as efficient in self-cleaning as a cat, a Basenji is a great choice as a hypoallergenic dog for people with allergies. Not only does this pup groom himself but his soft, short hair does not shed as much as other dogs, leaving less dander and less effect on sensitive immune systems. Limit the tissues needed when you’re near a Bedlington. These lamb-like-looking dogs are covered in a woolly, tightly curled coat that barely sheds. Bedlingtons will still need some grooming as his tight curly coat can become matted without daily brushing. The only break-out an allergy sufferer will have with a Bichon Frise is a collective Aww. Their soft, fluffy coats are tightly curled – ensuring dead hairs with dander stay in place until grooming day when they are brushed out. Less hair definitely results in less of chance that pet parents with sensitive immune systems will have an allergic reaction. The Hairless Chinese Crested has almost no hair, which means this breed sheds little to no hair depending on how often he’s groomed. The Havanese breed features a similar coat type to the hypoallergenic Bichon Frise, making these dogs another ideal choice for people with allergies. 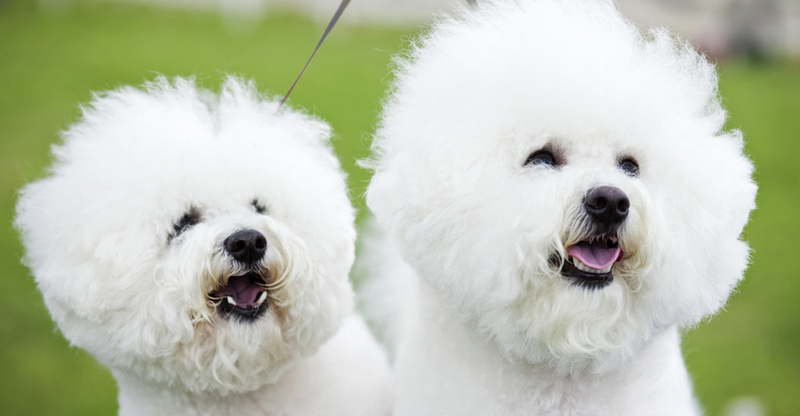 Their fluffy coats are deceptively thick-looking with a soft wave, not curly like a Bichon, which helps prevent hairs falling out all over the place. 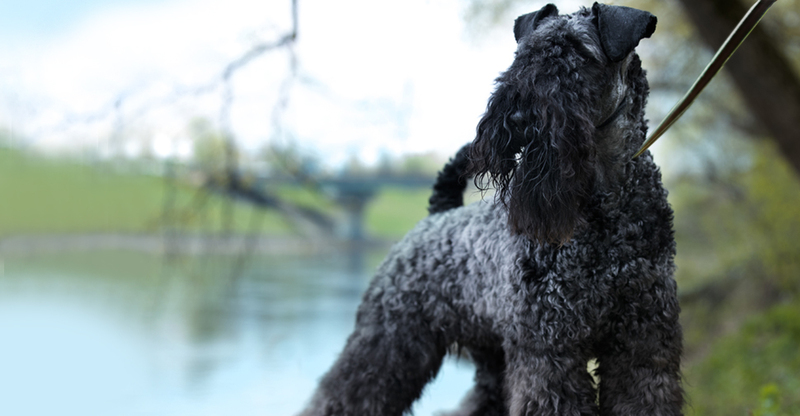 No undercoat, no problem and with all those curls – even less shedding. Irish Water Spaniels can be great dogs for allergy sufferers if they have regular brush outs and an occasional spa day every few months to clean and neaten up his coat. While most dogs shed daily, a Kerry Blue coat sheds roughly every three weeks, helping a sensitive allergy sufferer more easily control the amount of hair that falls from him in a home. Kerry Blues are known as non-shedders with their wavy, curly coats retaining much of the allergy-causing hairs until grooming day. Adult Komondors do not shed in the traditional sense. These pups grow a double coat, one wooly undercoat and one curly outercoat, which naturally develops the cords. With hair so tightly formed, traditional shedding is unlikely and people with allergies can expect a whole cord to possibly fall off but not individual, allergy-irritating hairs. 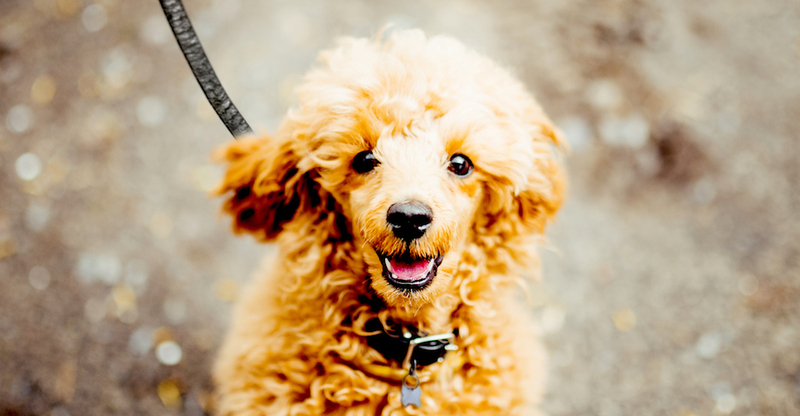 For people with light allergy sensitivities to pets, Poodles can be a great addition to a home. 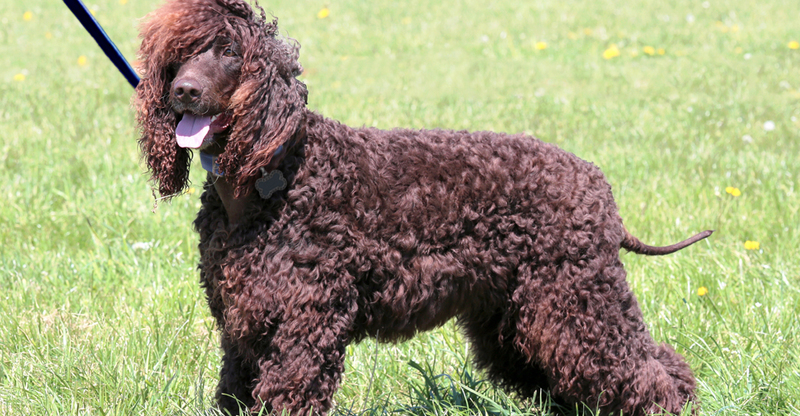 The breed’s curly, light-shedding coat holds onto the dead hair and dander, which can be easily maintained with appropriate grooming and regular brushing. 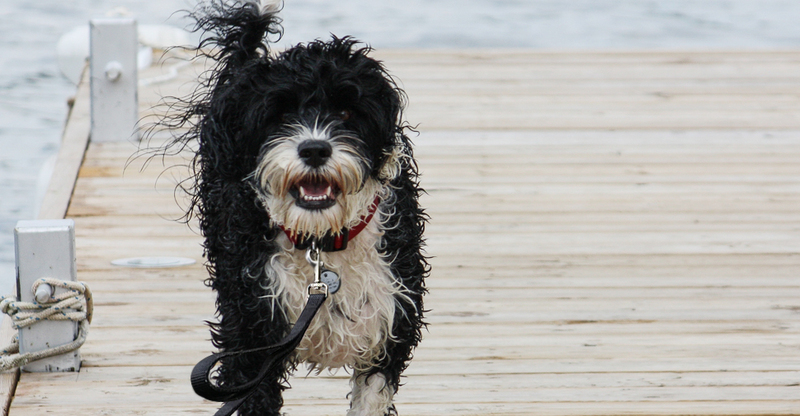 A good choice for people who have mild allergies to pets is the single-coated Portuguese Water Dog. Unlike a dog with an undercoat, this breed tends to shed less but sheds none the less. Keeping his coat well-groomed will definitely help lessen the chance of allergy symptoms. 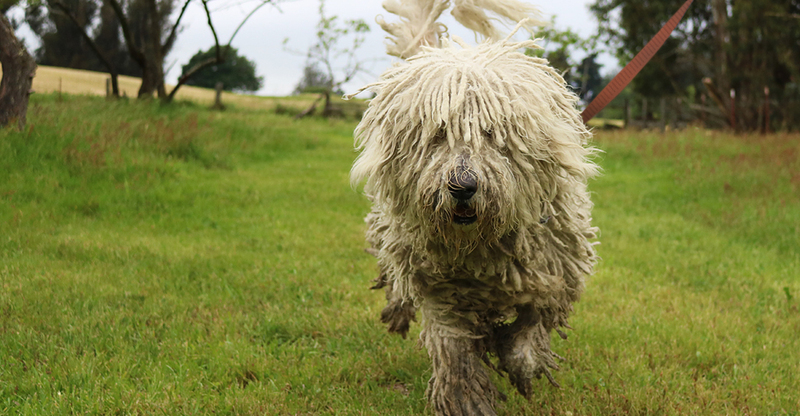 Similar to the Komondor dog, Puli’s grow corded, dreadlock-like coats if left unbrushed. They have both under and outercoats that grow together to form the cords. While a Puli may shed a little, those lost hairs become trapped in the coat which means it is less likely to cause an allergic reaction. 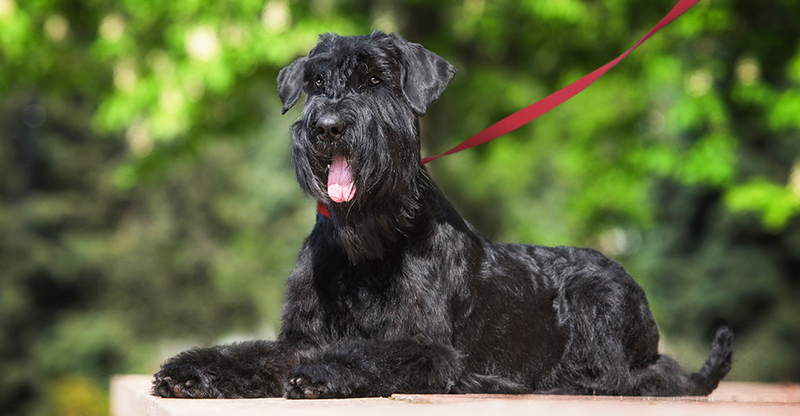 As with all dogs, Giant Schnauzers can also shed their coats but just not in huge clumps at a time. Mild allergy sufferers who love this type of dog but have a reaction to dander can control the amount of shedding through regular grooming and daily brushing. 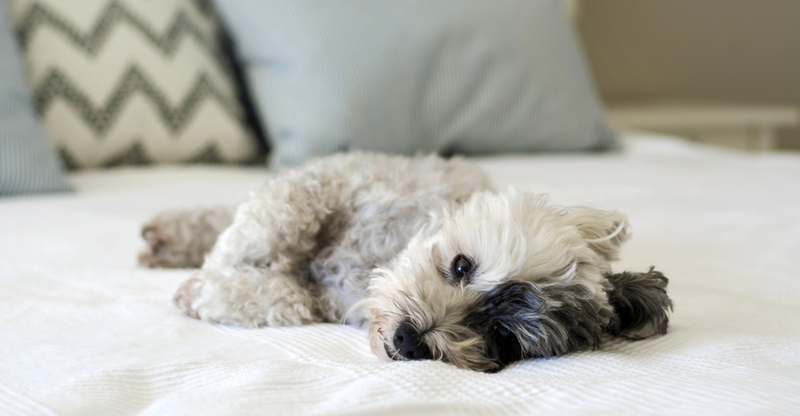 With the same type of hair that humans have, it’s less likely a Shih Tzu coat will cause a severe allergic reaction for someone with a pet sensitivity. 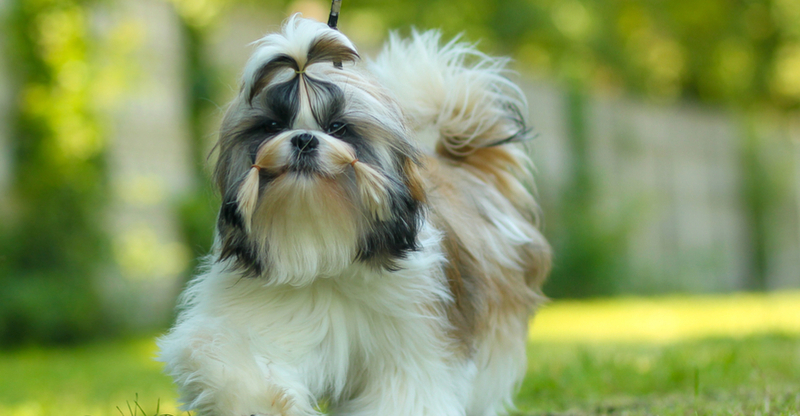 To keep a Shih Tzu’s coat at its most effective, low-shedding level – grooming and regular brushing is required. 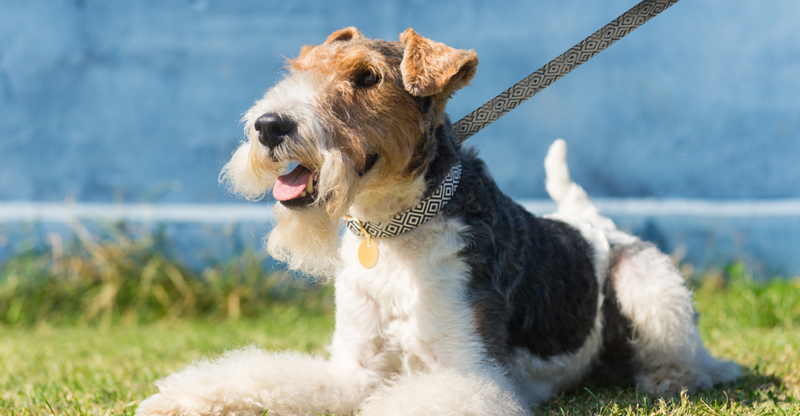 A dense, crinkly or wavy coat covers a Wire Fox Terrier from nose-to-tail. Thanks to the wiry denseness of the hairs, these dogs have limited shedding and dead hair can be removed easily with grooming. 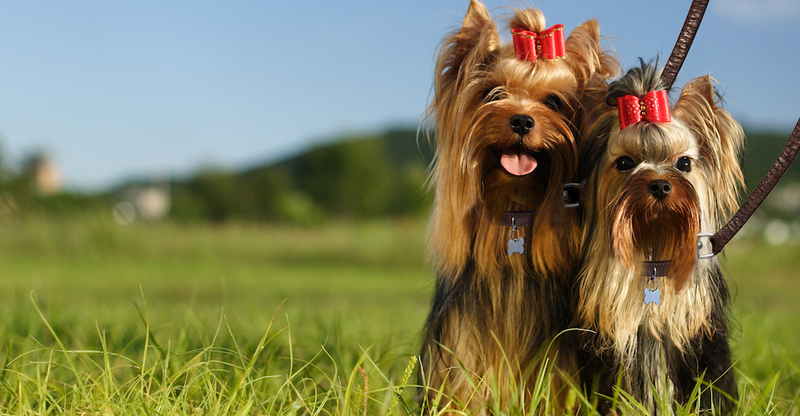 People with allergies are less likely to react to the Yorkies human-hair-like coat. These dogs do not have an undercoat that sheds so if kept trimmed and groomed, Yorkies can be a great choice for mild allergy sufferers. Are Hypoallergenic Dogs Completely Allergen-Free? The short answer is no. It’s important to remember that there are no completely allergen-free dogs. Man’s best friend comes in all sizes and coats, but for people with allergies, the best bet for checking whether a pet will cause allergies is to spend some time with the dog. If a dog is labeled hypoallergenic, it simply means that that breed is “relatively unlikely to cause an allergic reaction,” which makes dogs that don’t shed as much the best bet for living nearly symptom-free. 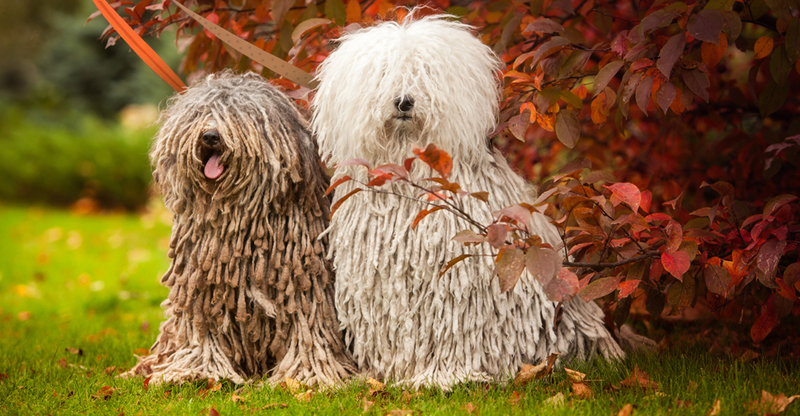 While some of these non-allergy dogs have heavy coats, like the Puli, their coats are only single-layered, which means that there is no undercoat to shed, leaving less dander attaching to furniture and floating around in your home. What Causes A Dog Allergy? Up to 10% of Americans have an allergy to dogs. While many people believe that dog hair triggers a pet allergy, it is in fact the pet’s dander attached to the end of the hairs that bring on symptoms like itchy eyes, runny nose, sneezing and more. Dander is dead skin, similar to human dandruff. When dogs shed hair and renew their top layer of skin, which happens roughly every 21 days, the dander is free to circulate in the air and attach to furniture, wall coverings, linen and pretty much everything in your home. Dogs that don’t shed, or shed very little, make it easier to keep living spaces mostly dander-free. How Can I Reduce Allergy Symptoms From My Dog? Looking For An Adoptable Hypoallergenic Dog? Petfinder is a great place to start your search for hypoallergenic dog breeds. Home to more than 200,000 adoptable dogs of all sizes, colors and coats, it’s easy to adopt non-allergy dogs that won’t set off your sensitivity to dander. So what are you waiting for? Start your search today and join the millions who have adopted their newest family member through Petfinder. Note: While the breeds in this collection tend to be more allergy-friendly, individual pets will vary. Please consult the adoption organization for details on a specific pet. Affenpinscher’s wiry coat only needs occasional removal of old, dead hairs, making this a great dog for people with allergies. Basenji is a great choice as a hypoallergenic dog as his low-shedding results in less dander and less effect on sensitive immune systems. Limit the tissues needed when you’re near the lamb-like-looking Bedlington, a dog covered in a woolly, tightly curled coat that barely sheds. Bichon Frise’s soft, fluffy coat is tightly curled keeping dead hairs with dander restrained, and affecting sensitive immune systems less. 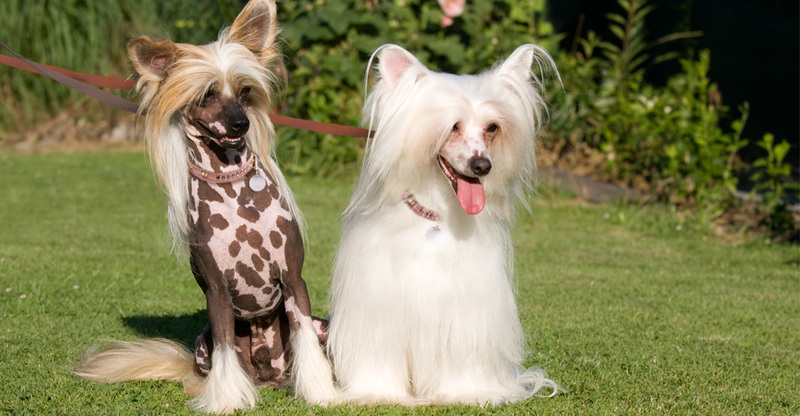 The Hairless Chinese Crested has almost no hair, which means this breed sheds little to no hair depending on how often he’s groomed. The Havanese’ fluffy coat is deceptively thick-looking with a soft wave, which helps prevent hairs falling out for people with allergies. No undercoat, no problem, and all those tight curls means even less shedding for this hypoallergenic dog for people with allergies. The Kerry Blue coat sheds roughly every three weeks, helping a sensitive allergy sufferer control the hair that falls with a spa day. Komondors grow one wooly undercoat and one curly outercoat that form natural cords that are so tight that traditional shedding is unlikely. 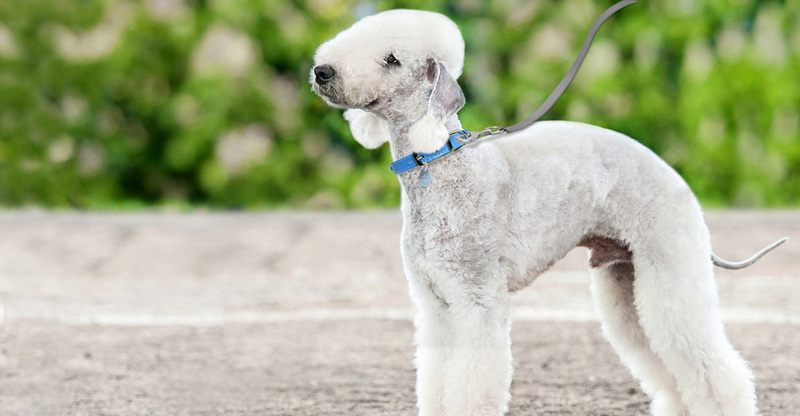 Poodles are great for mild allergy sensitivities because their curly, light-shedding coat holds dead hair with dander until grooming day.